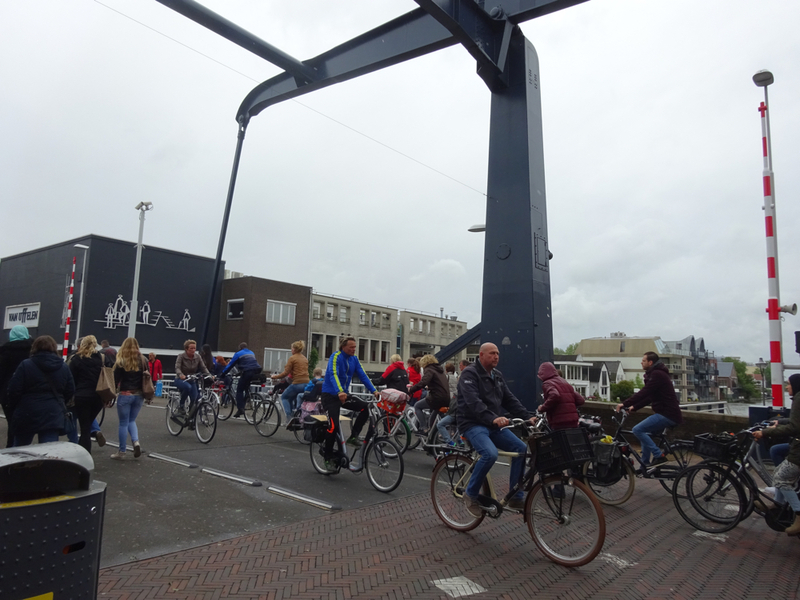 Traveling through Germany and now in the Netherlands I have been impressed by the number of cyclists on the roads. To achieve this level of cycling requires good infrastructure and planning. Dedicated cycle paths combine with zebra crossings that favour cyclists and pedestrians, as well as plenty of cycle parking. 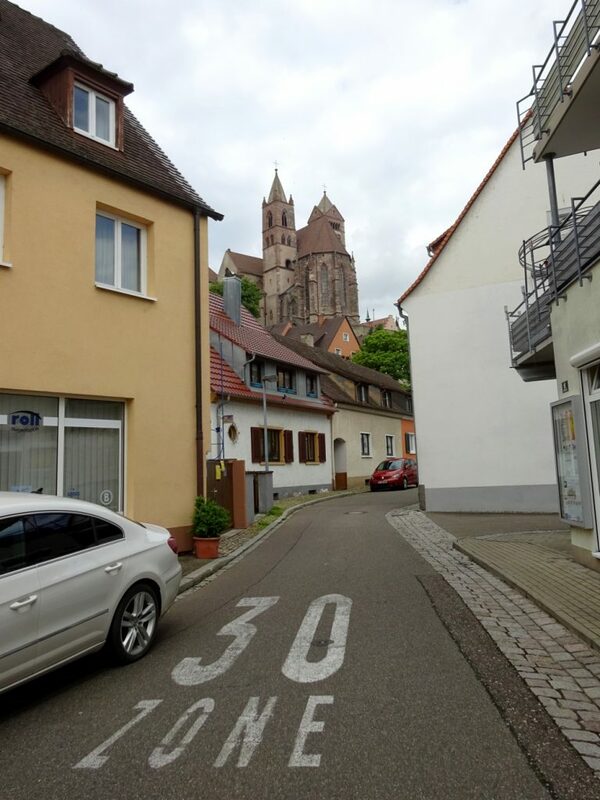 Many of the residential areas also have much lower speed limits (30km/hr or even 20 km/hr in some streets) making it much safer for non-car traffic, while some streets are reserved for non-vehicular traffic. Of course a sustainable city requires more than just good cycling and pedestrian infrastructure. Freiburg in Germany is a good example of how a small city (population of 220, 000 people) can, with good planning, make vast steps towards creating a more liveable place. 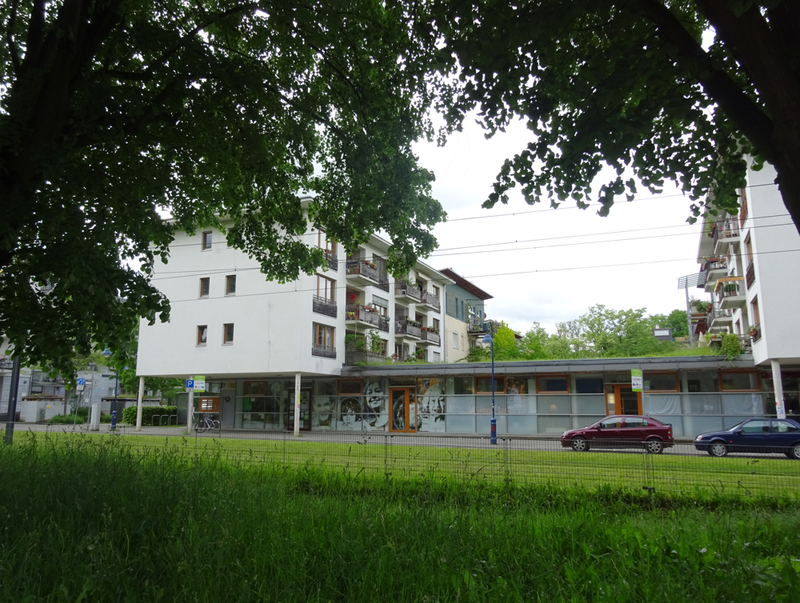 In particular the residential area of Vauban within Freiburg stood out for me. This area of 41 hectares is home to 5000 people. There is a lot of diversity in this area both in buildings and in people, with residents hailing from over 50 different nationalities and a range of incomes. There is dedicated student housing and many families with young children. Walking through Vauban I was impressed by the large number of open spaces. Every couple of blocks there is a park which instantly gives it a more peaceful feel. Trams and buses go through the main street giving residents easy access to public transport. A number of side streets are car free. Since there are only 172 cars per 1000 residents this is no problem. Instead every house seems to be overflowing with bicycles. For visitors there are two “solar parking garages” at either end of the district and their roofs are covered with solar panels. I was also impressed by the liveliness of the place. There were lots of people out and about walking and on bikes and children were playing unsupervised in the parks. Many buildings were mixed use with businesses and cafes on the ground floor and apartments above. There is also a community centre and town square. Walking through these streets was a lovely experience. The greenery, lots of people out walking and playing made for a very lively and welcoming atmosphere. Shows what a little planning and hard work on the part of residents can achieve! 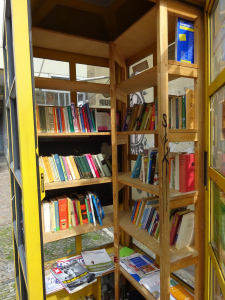 All of Freiburg has lots of little touches that show the community spirit, such as the community gardens outside the main theatre, the book swap booths in what used to be phone booths and the children’s walking bus. It was good to see how a number of seemingly small initiatives at the community level combined with sound planning at council level can coalesce over time into a much more liveable urban area than is presently found in most cities around the world. It is important to remember that this is not something that can be achieved in a few years. Rather it takes lots of time. 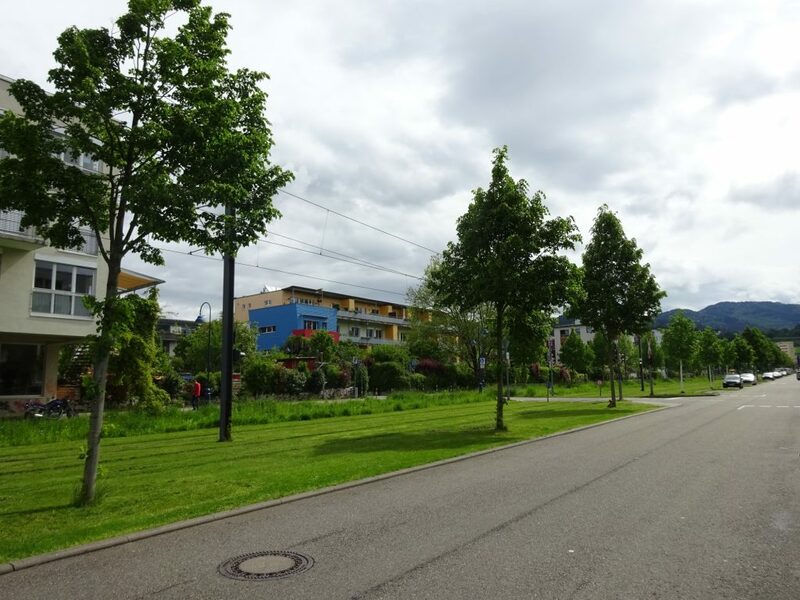 Freiburg was largely rebuilt after the second World War and has in the last 30-40 years being making a conscious effort to promote green planning. 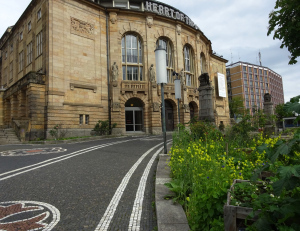 Community garden outside the main Theater in Freiburg, Germany. It is not however a perfect model eco-city. There are homeless people, public transport is expensive and rapid population growth and expansion of highways are just some of the issues which still need to be addressed. 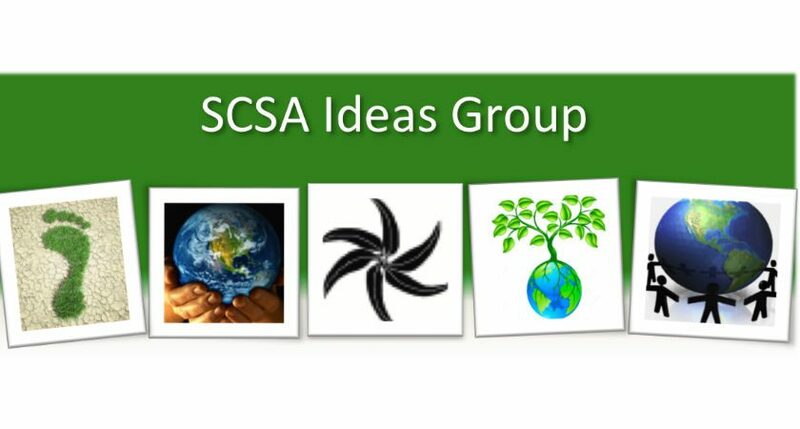 Sustainability is not some endpoint, rather it is something that always needs to be consciously incorporated into planning and other community activities. Particularly since cities are not stand alone entities. They are of course part of a wider country and global community that will place pressures and demands on the city. While the continual change in mix of residents will also affect the focus of council and community initiatives. All in all though cities like Freiburg provide an example of the way in which other smaller cities like Adelaide can become more liveable and how the efforts of groups like Sustainable Communities fit into a larger picture of making cities more sustainable. Smart Move – better for everyone!